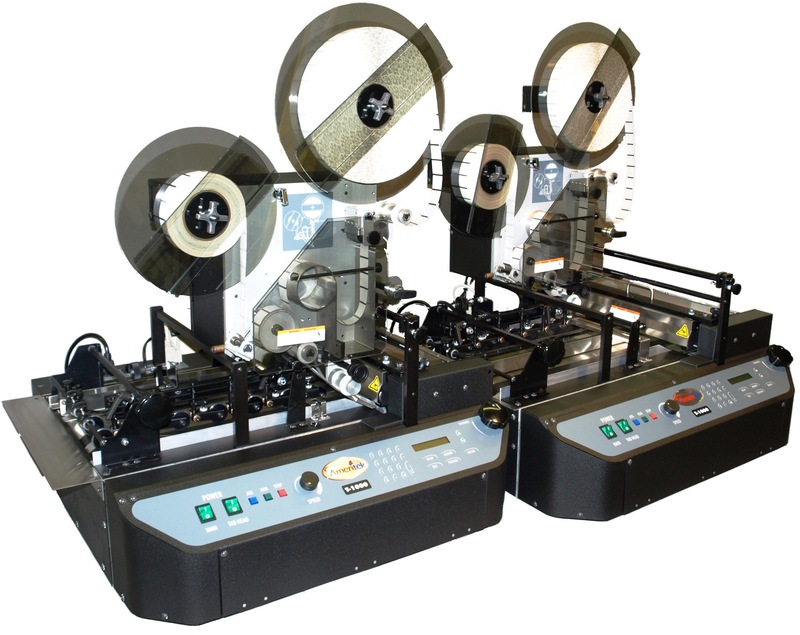 Tabbing Machines | TyPac, Inc.
applies multiple tabs per piece per USPS Spec. 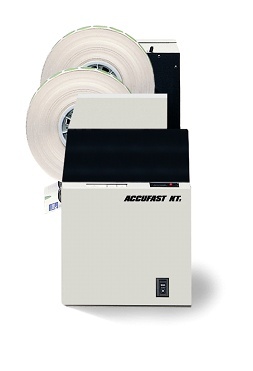 runs a variety of 1 and 1.5 inch tabs: paper & clear, circles & rectangles, on rolls or fan fold. built-in waste take-up spool on each head. 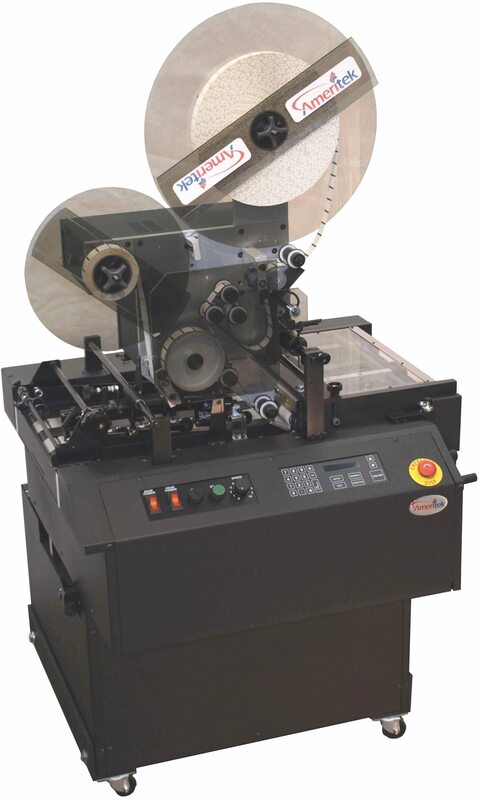 The Ameritek T-1000 is a high performance tabber, applying up to 3 tabs at speeds of up to 20,000 pieces per hour. 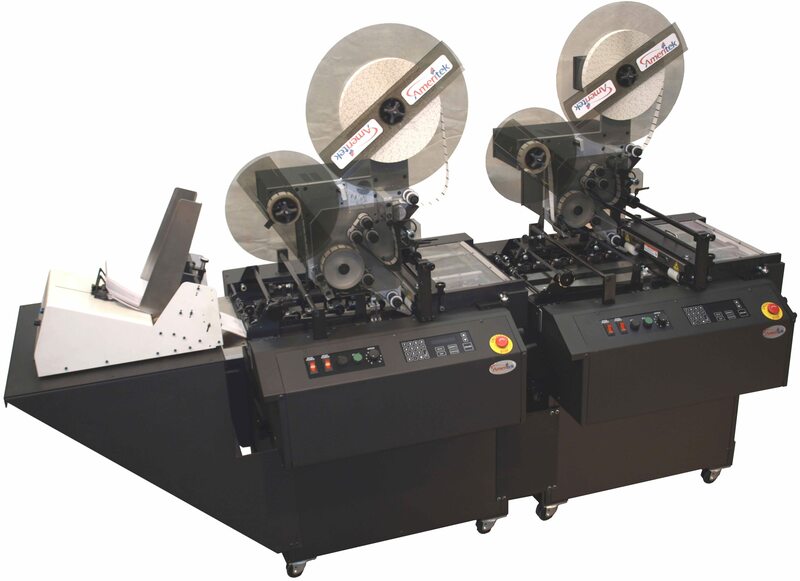 Tab Size 3/4" to 1-1/2"
MEDIA: Size Minimum 3"x 5" Maximum 12" x 14"
The Ameritek Floor Model Tabber is perfect for in-line or off-line production tabbing with speeds up to 30,000 pieces per hour. 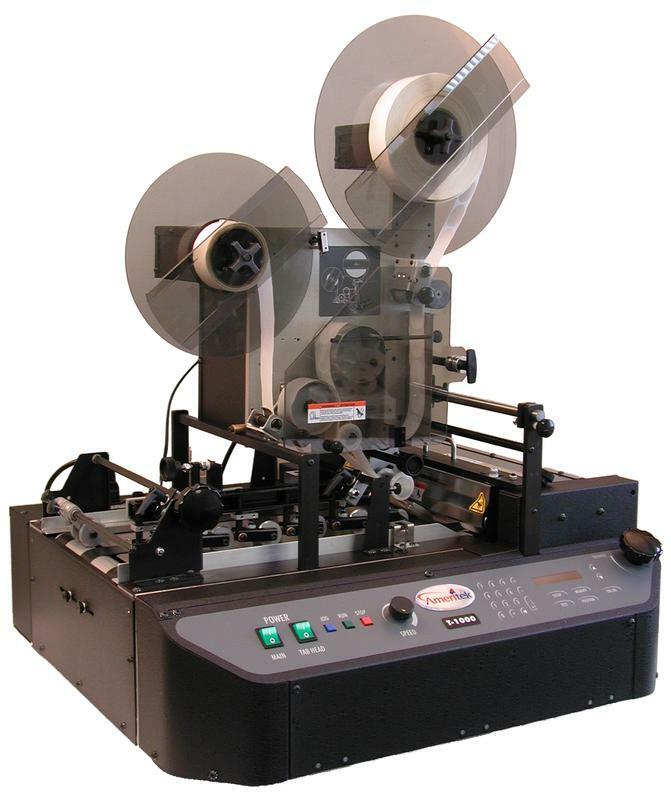 Tabs (single, double, triple), wafer seals, labels, stamps, repositional notes, customized stickers, scratchoffs, machine grade paper and adhesive, clear, translucent, unperfed, vertical perfed. 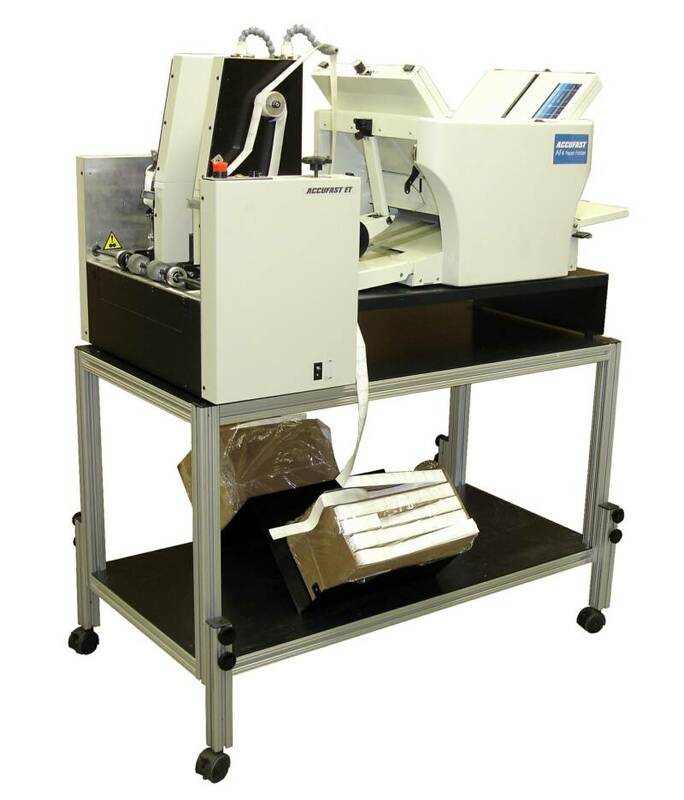 Ameritek Floor Model Dual Head Tabber places toe and heel tab placement for booklet mail in a single pass. Click the images for more details about the corresponding product. 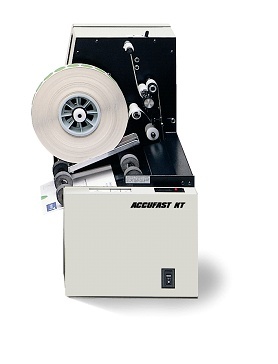 Ameritek T-1000 Dual Head Tabber places toe and heel tab placement for booklet mail in a single pass.